In anticipation of its centennial anniversary, Messukeskus will launch the sale of four special tickets to raise funds for a clean Baltic Sea, children’s equality and youth well-being. 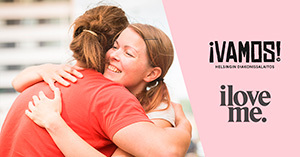 Messukeskus offers the special tickets in partnership with Baltic Sea Action Group, Women’s Bank, the Helsinki Deaconess Institute’s Vamos and Hope ry. For each Baltic Sea ticket, Vamos ticket and Hope ticket, one euro will be donated to a partner organisation. In addition, Messukeskus will donate to each partner an amount corresponding to the special ticket proceeds. Support the restoration of the ecological balance of the Baltic Sea! 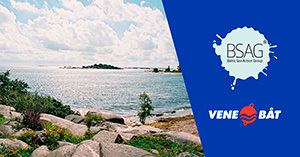 For each Baltic Sea ticket, one euro will be donated to the Baltic Sea Action Group (BSAG). The BSAG is an independent non-profit foundation with its headquarters in Finland. Donate a profession to women! 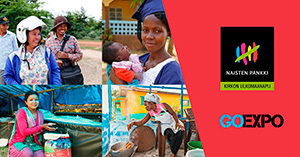 The Finnish Women’s Bank supports women in the world’s most fragile countries through education, entrepreneurship and livelihood. When we support women, we also support children and families in the most effective manner. Let us together give Finnish children more equal opportunities for a good life. For each Hope ticket, one euro will be donated directly to Hope. This politically and religiously independent organisation helps families in need and crisis by donating goods and organising events. With a Vamos ticket, you can help young people become empowered and have greater confidence. The Helsinki Deaconess Institute’s Vamos helps 16 to 29-year-olds in their everyday struggles by offering support and guidance in planning their future.